Kurdish (Kurdî, کوردی; pronounced [ˈkuɾdiː]) is a continuum of Northwestern Iranian languages spoken by the Kurds in Western Asia. Kurdish forms three dialect groups known as Northern Kurdish (Kurmanji), Central Kurdish (Sorani), and Southern Kurdish (Palewani or Kirmashani). A separate group of non-Kurdish Northwestern Iranian languages, the Zaza–Gorani languages, are also spoken by several million Kurds. Studies as of 2009 estimate between 8 and 20 million native Kurdish speakers in Turkey. The majority of the Kurds speak Northern Kurdish ("Kurmanji"). ✪ Tips: Recognize Arabic, Kurdish, Persian text in 5 minutes! The Kurdish languages belong to the Iranian branch of the Indo-European family. They are generally classified as Northwestern Iranian languages, or by some scholars as intermediate between Northwestern and Southwestern Iranian. Martin van Bruinessen notes that "Kurdish has a strong south-western Iranian element", whereas "Zaza and Gurani [...] do belong to the north-west Iranian group". The present state of knowledge about Kurdish allows, at least roughly, drawing the approximate borders of the areas where the main ethnic core of the speakers of the contemporary Kurdish dialects was formed. The most argued hypothesis on the localisation of the ethnic territory of the Kurds remains D.N. Mackenzie's theory, proposed in the early 1960s (Mackenzie 1961). Developing the ideas of P. Tedesco (1921: 255) and regarding the common phonetic isoglosses shared by Kurdish, Persian, and Baluchi, Mackenzie concluded that the speakers of these three languages may once have been in closer contact. He has tried to reconstruct the alleged Persian-Kurdish-Baluchi linguistic unity presumably in the central parts of Iran. According to Mackenzie's theory, the Persians (or Proto-Persians) occupied the province of Fars in the southwest (proceeding from the assumption that the Achaemenids spoke Persian), the Baluchis (Proto-Baluchis) inhabited the central areas of Western Iran, and the Kurds (Proto-Kurds), in the wording of G. Windfuhr (1975: 459), lived either in northwestern Luristan or in the province of Isfahan. Kurdish is divided into three groups, where dialects from different groups are not mutually intelligible without acquired bilingualism. Northern Kurdish (Kurmanji) is the largest dialect group, spoken by an estimated 15 to 20 million Kurds in Turkey, Syria, northern Iraq, and northwest and northeast Iran. Central Kurdish (Sorani) is spoken by an estimated 6 to 7 million Kurds in much of Iraqi Kurdistan and the Iranian Kurdistan Province. Sorani is a written standard of Central Kurdish developed in the 1920s (named after the historical Soran Emirate) and was later adopted as the standard orthography of Kurdish as an official language of Iraq. Southern Kurdish (Pehlewani) is spoken by about 3 million Kurds in Kermanshah and Ilam provinces of Iran and in the Khanaqin district of eastern Iraq. In historical evolution terms, Kurmanji is less modified than Sorani and Pehlewani in both phonetic and morphological structure. The Sorani group has been influenced by among other things its closer cultural proximity to the other languages spoken by Kurds in the region including the Gorani language in parts of Iranian Kurdistan and Iraqi Kurdistan. The Kermanshahi group has been influenced by among other things its closer cultural proximity to Persian. 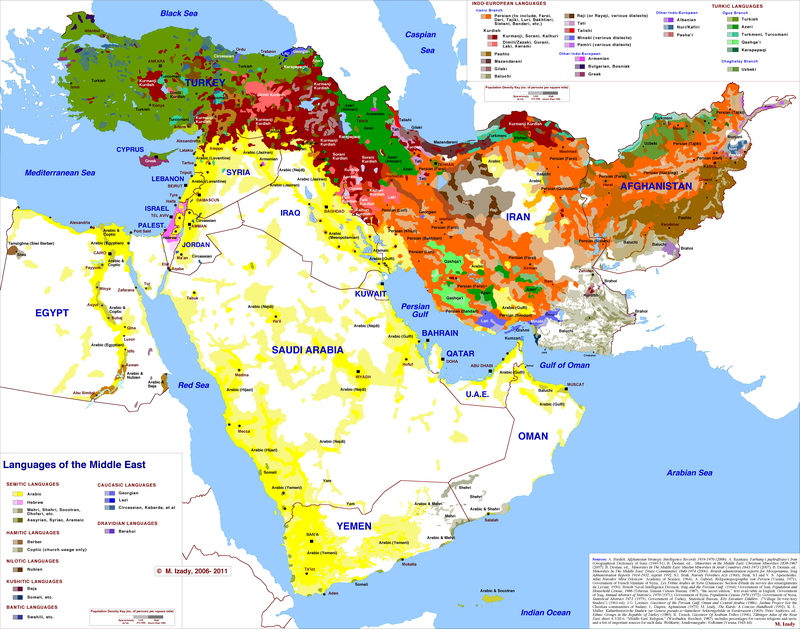 According to Encyclopaedia of Islam, although Kurdish is not a unified language, its many dialects are interrelated and at the same time distinguishable from other Western Iranian languages. The same source classifies different Kurdish dialects as two main groups, northern and central. The reality is that the average Kurmanji speaker does not find it easy to communicate with the inhabitants of Sulaymaniyah or Halabja. Zaza–Gorani languages, which are spoken by communities in the wider area who identify as ethnic Kurds, are not linguistically classified as Kurdish. Zaza-Gorani is classified as adjunct to Kurdish, although authorities differ in the details. Windfuhr 2009[page needed] groups Kurdish with Zaza Gorani within a "Northwestern I" group, while Glottolog based on Encyclopædia Iranica prefers an areal grouping of "Central dialects" (or "Kermanic") within Northwest Iranic, with Kurdish but not Zaza-Gorani grouped with "Kermanic". Gorani is distinct from Northern and Central Kurdish, yet shares vocabulary with both of them and there are some grammatical similarities with Central Kurdish. The Hawrami dialects of Gorani includes a variety that was an important literary language since the 14th century, but it was replaced by Central Kurdish in the 20th century. Gorani is classified as part of the Zaza–Gorani branch of Indo-Iranian languages. The Zaza language, spoken in the northernmost parts of Kurdistan, differs both grammatically and in vocabulary and is generally not understandable by Gorani speakers but it is considered related to Gorani. Almost all Zaza-speaking communities, as well as speakers of the closely related Shabaki dialect spoken in parts of Iraqi Kurdistan, identify themselves as ethnic Kurds. The notable professor Zare Yusupova, has carried out a lot of work and research into the Gorani dialect (as well as many other minority/ancient Kurdish dialects). During his stay in Damascus, historian Ibn Wahshiyya came across two books on agriculture written in Kurdish, one on the culture of the vine and the palm tree, and the other on water and the means of finding it out in unknown ground. He translated both from Kurdish into Arabic in the early 9th century AD. Among the earliest Kurdish religious texts is the Yazidi Black Book, the sacred book of Yazidi faith. It is considered to have been authored sometime in the 13th century AD by Hassan bin Adi (b. 1195 AD), the great-grandnephew of Sheikh Adi ibn Musafir (d. 1162), the founder of the faith. It contains the Yazidi account of the creation of the world, the origin of man, the story of Adam and Eve and the major prohibitions of the faith. From the 15th to 17th centuries, classical Kurdish poets and writers developed a literary language. The most notable classical Kurdish poets from this period were Ali Hariri, Ahmad Khani, Malaye Jaziri and Faqi Tayran. The Italian priest Maurizio Garzoni published the first Kurdish grammar titled Grammatica e Vocabolario della Lingua Kurda in Rome in 1787 after eighteen years of missionary work among the Kurds of Amadiya. This work is very important in Kurdish history as it is the first acknowledgment of the widespread use of a distinctive Kurdish language. Garzoni was given the title Father of Kurdology by later scholars. The Kurdish language was banned in a large portion of Kurdistan for some time. After the 1980 Turkish coup d'état until 1991 the use of the Kurdish language was illegal in Turkey. Today, Central Kurdish is an official language in Iraq. In Syria, on the other hand, publishing materials in Kurdish is forbidden, though this prohibition is not enforced any more due to the civil war. Before August 2002, the Turkish government placed severe restrictions on the use of Kurdish, prohibiting the language in education and broadcast media. In March 2006, Turkey allowed private television channels to begin airing programming in Kurdish. However, the Turkish government said that they must avoid showing children's cartoons, or educational programs that teach Kurdish, and could broadcast only for 45 minutes a day or four hours a week. The state-run Turkish Radio and Television Corporation (TRT) started its 24-hour Kurdish television station on 1 January 2009 with the motto "we live under the same sky". The Turkish Prime Minister sent a video message in Kurdish to the opening ceremony, which was attended by Minister of Culture and other state officials. The channel uses the X, W, and Q letters during broadcasting. However, most of these restrictions on private Kurdish television channels were relaxed in September 2009.In 2010, Kurdish municipalities in the southeast began printing marriage certificates, water bills, construction and road signs, as well as emergency, social and cultural notices in Kurdish alongside Turkish. Also Imams began to deliver Friday sermons in Kurdish and Esnaf price tags in Kurdish. Many mayors were tried for issuing public documents in Kurdish language. The Kurdish alphabet is not recognized in Turkey, and prior to 2013 the use of Kurdish names containing the letters X, W, and Q, which do not exist in the Turkish alphabet, was not allowed. In 2012, Kurdish-language lessons became an elective subject in public schools. Previously, Kurdish education had only been possible in private institutions. In Iran, though it is used in some local media and newspapers, it is not used in public schools. In 2005, 80 Iranian Kurds took part in an experiment and gained scholarships to study in Kurdish in Iraqi Kurdistan. The bulk of the vocabulary in Kurdish is of Iranian origin, especially of northwestern Iranian. A considerable number of loanwords come from Semitic, mainly Arabic, which entered through Islam and historical relations with Arab tribes. Yet, a smaller group of loanwords which are of Armenian, Caucasian, and Turkic origins are used in Kurdish, besides some European words. There are also Kurdish words with no clear etymology, some of which may be substratal remnants of ancient languages once spoken in the area, such as Hurrian. The Kurdish language has been written using four different writing systems. In Iraq and Iran it is written using an Arabic script, composed by Sa'id Kaban Sedqi. More recently, it is sometimes written with a Latin alphabet in Iraq. In Turkey, Syria, and Armenia, it is now written using a Latin script. Kurdish was also written in the Arabic script in Turkey and Syria until 1932. There is a proposal for a unified international recognized Kurdish alphabet based on ISO-8859-1 called Yekgirtú. Kurdish in the former USSR is written with a Cyrillic alphabet. Kurdish has even been written in the Armenian alphabet in Soviet Armenia and in the Ottoman Empire (a translation of the Gospels in 1857 and of all New Testament in 1872). ^ Only very rough estimates are possible. SIL Ethnologue gives estimates, broken down by dialect group, totalling 31 million, but with the caveat of "Very provisional figures for Northern Kurdish speaker population". Ethnologue estimates for dialect groups: Northern: 20.2M (undated; 15M in Turkey for 2009), Central: 6.75M (2009), Southern: 3M (2000), Laki: 1M (2000). The Swedish Nationalencyklopedin listed Kurdish in its "Världens 100 största språk 2007" (The World's 100 Largest Languages in 2007), citing an estimate of 20.6 million native speakers. ^ "Ethnologue - Azerbaijan". Archived from the original on 23 January 2018. Retrieved 3 February 2018. ^ Hammarström, Harald; Forkel, Robert; Haspelmath, Martin, eds. (2017). "Kurdish". Glottolog 3.0. Jena, Germany: Max Planck Institute for the Science of Human History. ^ a b "Languages of the Middle East". Archived from the original on 18 January 2012. Retrieved 23 December 2011. ^ a b A Modern History of the Kurds: Third Edition - David McDowall - Google Books. Books.google.com. 2004-05-14. Retrieved 2012-12-18. ^ Demographic data is unreliable especially in Turkey, where the largest number of Kurds reside, as Turkey has not permitted gathering ethnic or linguistic census data since 1965; estimates of ethnic Kurds in Turkey range from 10% to 25%, or 8 to 20 million people. 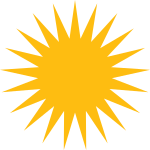 ^ "Kurmanji Kurdish" (PDF). Archived (PDF) from the original on 4 March 2016. Retrieved 24 February 2016. ^ "Kurdish language issue and a divisive approach - Kurdish Academy of Language". Archived from the original on 17 October 2015. ^ Paul, Ludwig (2008). "Kurdish language I. History of the Kurdish language". In Yarshater, Ehsan. Encyclopædia Iranica. London and New York: Routledge. Archived from the original on 4 December 2011. Retrieved 28 August 2013. ^ a b c Philip G. Kreyenbroek, "On the Kurdish Language", a chapter in the book The Kurds: A Contemporary Overview. The book is previewable at Google Book Search. ^ "BACKGROUND TO THE LANGUAGE, COMMUNITY, AND FIELDWORK 1.1 Introduction The present work is a grammatical description of the Mukri variety of Central". www.dissertation.xlibx.info. Archived from the original on 2017-03-05. ^ Opengin, Ergin; Haig, Geoffrey. "Kurdish: a critical research overview". Academia.edu. ^ Leezenberg, M. (15 June 2016). Soviet Kurdology and Kurdish Orientalism. researchgate.net. p. 10. Archived from the original on 27 April 2018. Retrieved 24 November 2017. ^ Ibn-Waḥšīya, Aḥmad Ibn-ʿAlī (1806). Ancient Alphabets and Hieroglyphic Characters Explained: With an Account of the Egyptian Priests, Their Classes, Initiation, and Sacrifices. Translated by Joseph von Hammer-Purgstall. Bulmer. p. 53. Retrieved March 28, 2013. ^ Repression of Kurds in Syria is widespread Archived 15 October 2007 at the Wayback Machine, Amnesty International Report, March 2005. ^ "After 52-year ban, Syrian Kurds now taught Kurdish in schools". 6 November 2015. Archived from the original on 10 May 2016. ^ "Special Focus Cases: Leyla Zana, Prisoner of Conscience". Amnestyusa.org. Archived from the original on 10 May 2005. Retrieved 2 December 2011. ^ "Kurdish performers banned, Appeal from International PEN". Freemuse.org. Archived from the original on 13 January 2012. Retrieved 2 December 2011. ^ "Kurdish TV starts broadcasting in Turkey". Kurdmedia.com. Archived from the original on 12 January 2012. Retrieved 2 December 2011. ^ "TRT HABER - Özel Kürtçe Kanala Yeşil Işık". Trt.net.tr. 28 November 2011. Archived from the original on 18 January 2012. Retrieved 2 December 2011. ^ "On trial for speaking Kurdish". ANF-Firatnews. 11 May 2011. Archived from the original on 15 June 2013. Retrieved 12 June 2013. ^ Karakaş, Saniye (March 2004). "Submission to the Sub-Commission on Promotion and Protection of Human Rights: Working Group of Minorities; Tenth Session, Agenda Item 3 (a)". United Nations Commission on Human Rights. Archived from the original (MS Word) on 2007-06-28. Retrieved 2006-11-07. Kurds have been officially allowed since September 2003 to take Kurdish names, but cannot use the letters x, w, or q, which are common in Kurdish but do not exist in Turkey's version of the Latin alphabet. [...] Those letters, however, are used in Turkey in the names of companies, TV and radio channels, and trademarks. For example Turkish Army has company under the name of AXA OYAK and there is SHOW TV television channel in Turkey. ^ Mark Liberman (2013-10-24). "Turkey legalizes the letters Q, W, and X. Yay Alphabet!". Slate. Retrieved 2013-10-25. ^ "Turkey to allow Kurdish lessons in schools". Aljazeera. 12 June 2012. Archived from the original on 13 March 2013. Retrieved 12 June 2013. ^ "Neighboring Kurds Travel to Study in Iraq". Npr.org. 9 March 2005. Archived from the original on 26 January 2012. Retrieved 2 December 2011. ^ ". Number of resident population by selected nationality, mother tongue in 2009" (PDF). Archived from the original (PDF) on 10 July 2012. Retrieved 9 April 2015. ^ "Table 4.1.1 Population by individual ethnic groups" (PDF). Government of Kazakhstan. stat.kz. Archived from the original (PDF) on 27 February 2012. Retrieved 9 July 2012. ^ "The Kurdish Unified Alphabet". www.kurdishacademy.org. Archived from the original on 24 May 2011. Retrieved 2 December 2011. ^ "The Gospels in Kurdish in Armenian characters, 1857, Constantinople". Google.com. 18 February 2010. Archived from the original on 5 July 2014. Retrieved 2 March 2014. Wikimedia Commons has media related to Kurdish language.